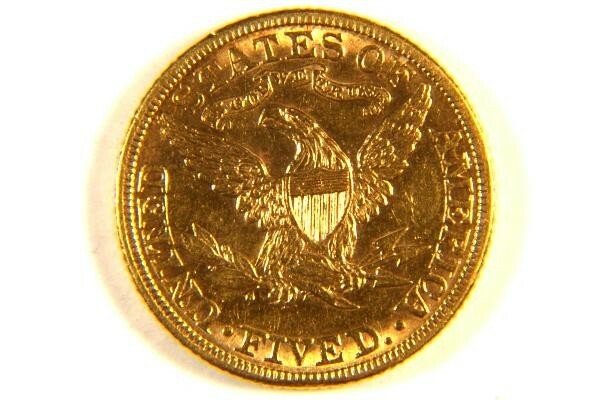 This is a super nice 1882 Liberty Head Half Eagle Gold Coin. 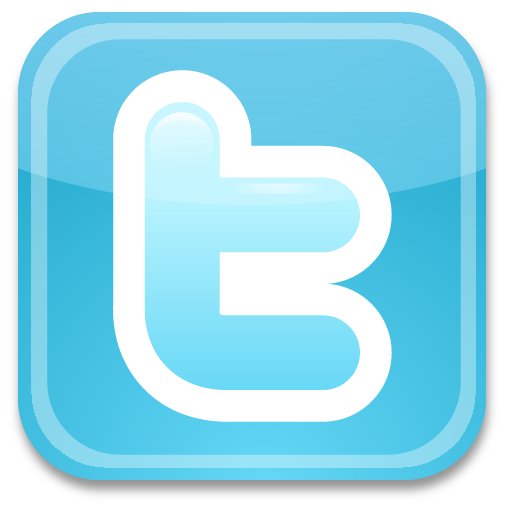 It is in BU "Brilliant Uncirculated" condition. 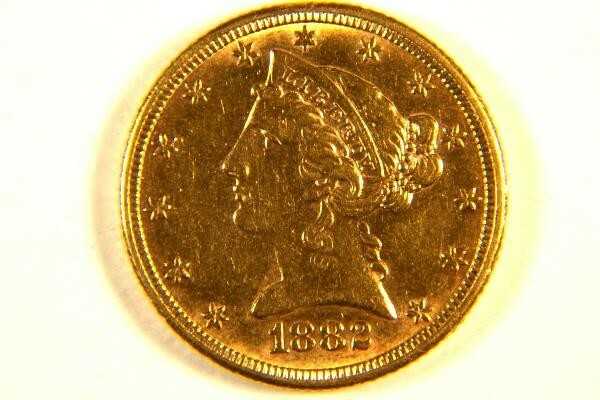 This 131 year old rare gold coin is very shiny and it is hard to get a good photograph of it. There is just under 1/4 ounce of pure gold in this coin (0.2419 troy ounces to be exact). This rare gold coin is a great way to invest in gold.